“do you think God will grant your prayers? You ditched me; you played with my emotions--- where you were? Where were your promises to be my shadow when I was facing problems and difficulties? All your promises were false and were instance of teenage emotions, I have faced so many obstacles and difficulties in my life but you were not there to help me. It is another thing that every time God has saved me with his miracles and thanks to God that my husband is not at least like you…he has performed all his duties almost perfectly. It’s my bad luck that I have to see your face today, from last eleven years I have always prayed to God not to bring you in front of me." She was disgorging her anger but he was silent and trying hard not to cough in front of her so that she can’t see the blood coming from his throat, she glanced at him wrathfully and left the place. He now enters the church, takes the candle and sits before Jesus to make prayer--- this is what he is doing from last eleven years after their break-up, he has not missed even a single day to make prayer for her. She will never know---those the miracles happened in her life were the outcomes of his prayer. Probably they will never meet again because after seven days his chemotherapy will start and the result is uncertain as said by the doctors. How are you my dear semi-conductors? Yes my dear bloggers, I am asking this question to you. Oh no, don’t be angry please, just go through this post and you will surely enjoy it. Q. Prove that, all human beings have huge similarity with semi-conductors. Q. Prove that, we are semi-conductors and we get doped. 10 marks. Let me first tell you in short what a semi conductor is, a semi conductor is a material which is neither fully a conductor (Like Iron) nor fully an insulator (Like Plastic). 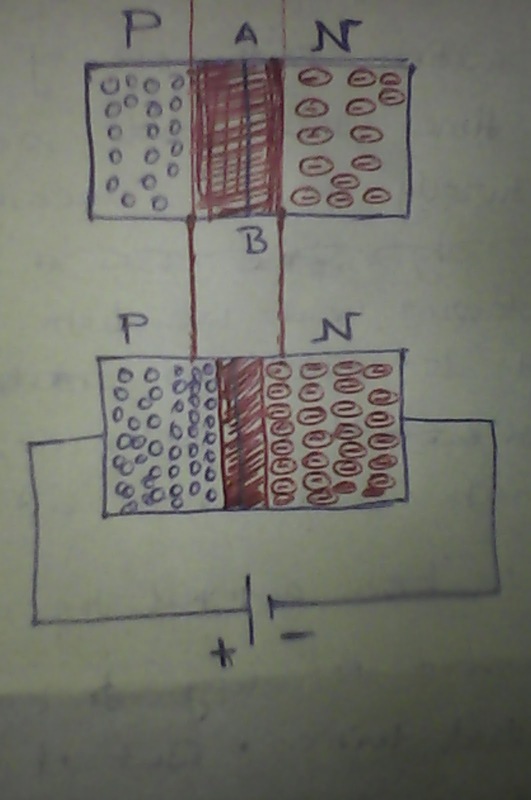 P-type (Positive Type) ---Positive Ions are major here, it’s called Holes. N-type Negative type) ---Negative ions are major here, that is electrons. We make diodes and transistors by doping these semi-conductors to make electronic devices. 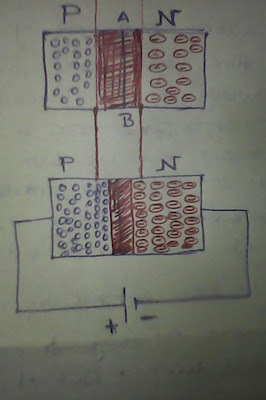 i have marked Negative charges with red color and positive charges(Holes) in blue color. When we are doped by love then just like semi-conductors we are attached with each other. 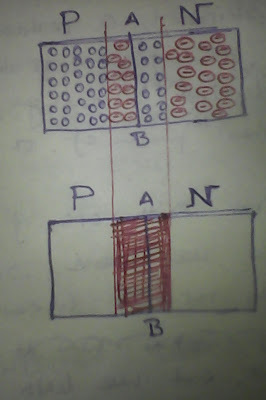 As there are opposite charges in two sides, so naturally they attract each other and some negative charges enter in the positive side and some positive charges enters in the negative side. 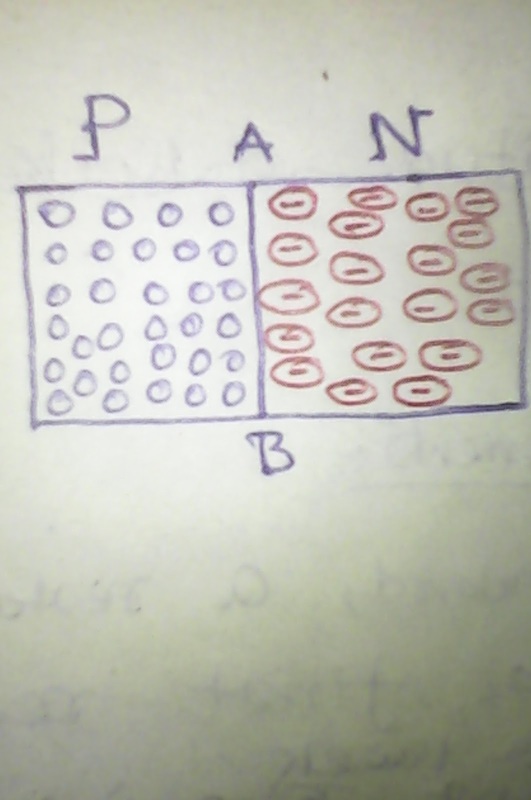 in the picture below i have shown it through red color shed, its called depletion region. 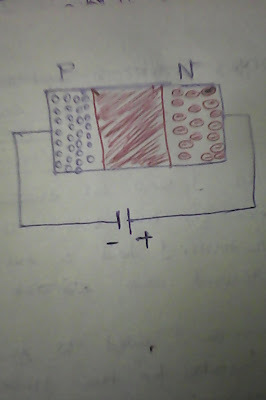 If you connect positive side of a battery with P-type and negative side with N-type then naturally the positive charges of battery will repel the positive ions in P-type and the negative charges of battery will repel the negative ions of N-type, because same type of charges repel each other, so the depletion region will be shorter. This is what happens when our friends/well wishers helps us when we are in love, forward bias condition means the tide is flowing in the direction of your journey and getting help from well wishers we go closer (depletion region is shorter) to our loved ones and we spent beautiful moments, like dating, short outing, over night talk through mobile, writing sweet sweet love letters etc. Some parts of she is still left in you. Aksaar mei tum ho jati hoon. 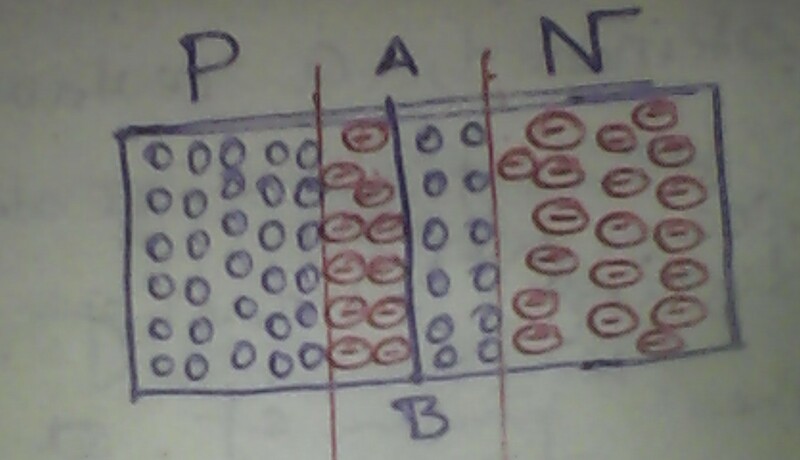 When the P-N junction is kept in forward bias (Pic 3) then we get flow of current in the circuit---that means love life is in progress. When the P-N junction is in reverse bias (Pic 4) then there is no flow of current in the circuit---that is love life has stopped. 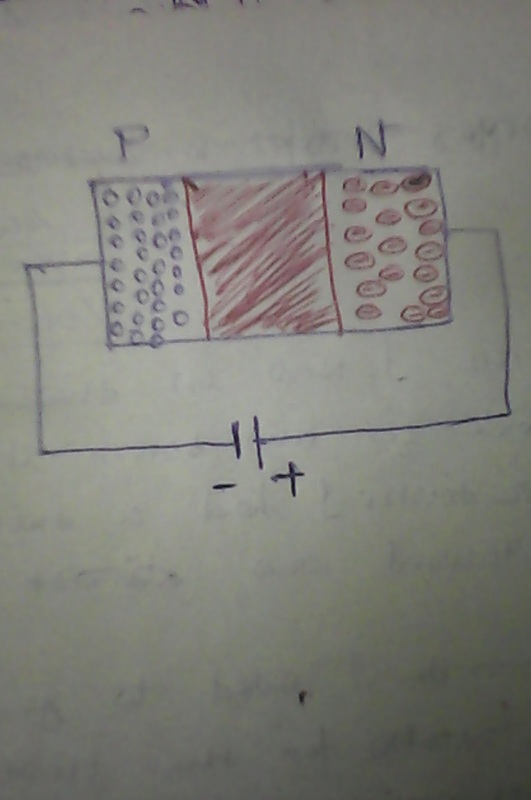 So, there is a huge similarity in between P-N junction diode and our love lives, therefore it is proved that we are semi-conductors and we get doped with love. This theory is applicable when you loved truly---not flirting. 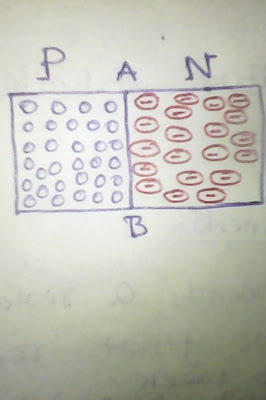 So how many marks you will give me out of ten? We all get doped by love, some of us has already been doped and some (like me) are waiting to be doped, but there are exceptions also, there are some people (Like my Sister) who can never be doped by love because they don’t believe in such type of loves, they believe that God has decided someone to be their life partners and they will get them through marriage. These people are so rough and tough and romance-less---is not it? 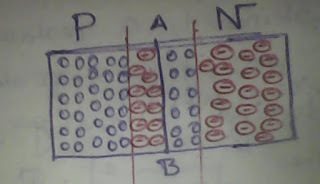 One N-type is doped with Two P-types and what is made is P-N-P transistor---two P is in love with one N.
When one P-type is doped with two N-types then what is made is N-P-N transistor that is---two N is in love with one P.
So, did i make any mistake by calling you "Semi-Conductors" ?